Posted on 20th August 2018 at 10:44 am. Friday 10th of August Macc Care celebrated the Grand Opening of Austin Rose Care Home. It was an exciting event accompanied by the Lord Mayor of Birmingham, Councillor Yvonne Mosquito. The event was embraced by a live singer, canapés, high tea menu, tombola and raffles with great prizes. More than 80 guests joined the party. 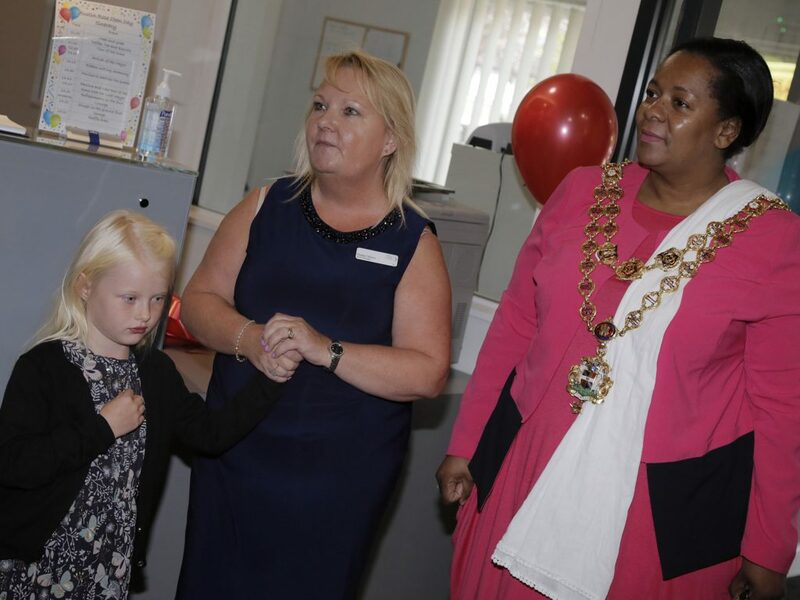 The Lord Mayor of Birmingham and the Home Manager, Pauline Vernon, cut the ribbon to declare the opening of the care home. 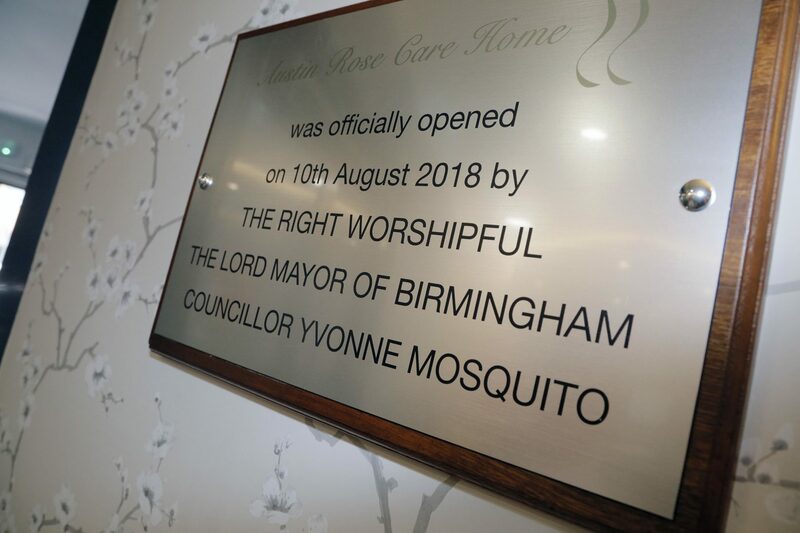 After the opening speech, Lord Mayor of Birmingham, Councillor Yvonne Mosquito was taken for a tour of Home and then retired to have her high tea with our guests in the sun lounge, which had been prepared by the Home’s own Chef. Many new visitors attended the Grand Opening and the residents also joined in the festivities. Guests had the opportunity to meet the care team, led by Home Manager Pauline Vernon, and take a tour of the fantastic new care home. 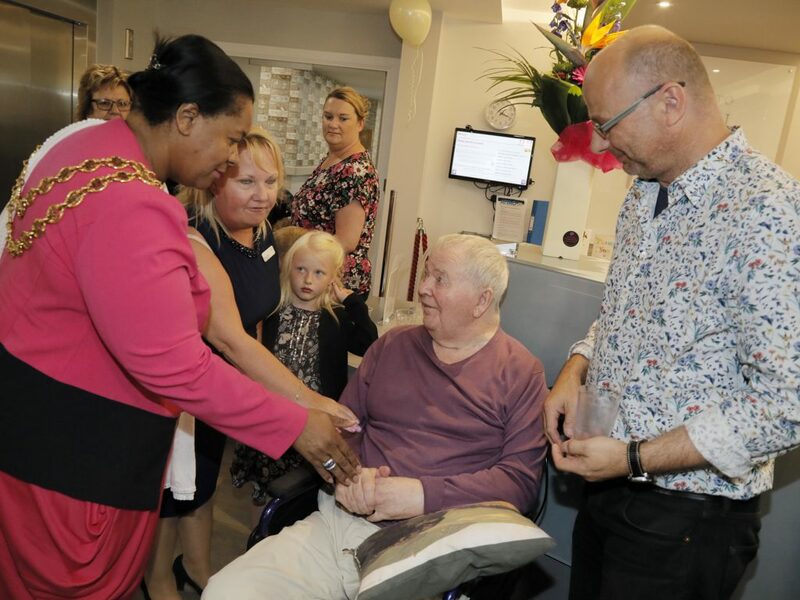 It was a wonderful celebration of the official opening of Austin Rose and share the occasion with residents, staff, friends and visitors. On behalf the management team we would like to thank all the staff of Austin Rose for making the Open Day such a great success. Is A Care Home Right For You?